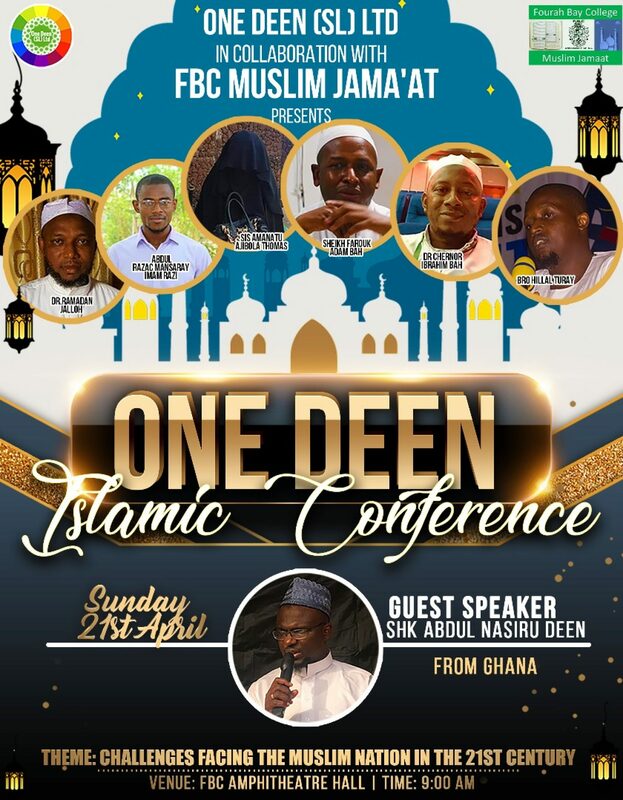 Abdul Rahman Jalloh also known as “Bizzy Man” from the Assalam Brothers group is a very popular and dawah motivated brother who has been into nasheed in Sierra leone since 2007. He is five feet six inches tall and was born in the mid 80’s and started schooling in Kono his home town. He took his Basic Education Certificate Examination (BECE) at Ahmadiyya and West African Senior School Certificate Examination (WASSCE) at Prince Of Wales school. For his college education, he attended the Milton margai college and obtained a diploma in peace and conflict and furthered his education at Fourah Bay College with a degree in Mass communication. For his Islamic achievments and career, Abdul Rahman Jalloh (The Busy Man) has headed and played a very big role in many Islamic organizations in Sierra Leone and was also the founding member of the Sierra Leone Anasheed Brothers (SLAB). He is currently working at Search For Common ground as a Media Producer and also founded the Daqvah Charity Foundation. “As a Muslim who was doing music, I always search for a way I will quit music. Alhamdulillah with the advent of the Voice of Islam, I was able to know aout nasheed. Listening to Zain Bikha’s songs I got inspsired to compose my first song titled “La Ilaha Illalah” in 2007. Apart from singing, as a man who graduated in Mass commiunication from Fourah Bay College, he is a media practioner working working for talking drum and volunteering with other media institution in presenting Islamic programs on various radio and TV stations. He is also an audio, video and graphics designer who loves working on Islamic audio, videos and graphics. He is also a dramatist and an actor! Abdul Rahman Jalloh is a man who likes exploring things, he is naturally loved and people love him so much for his hard work and dedication towards Islam, it is clear and also confirmed from his words that “Allah has blessed him with a kind heart” by opening the Daqvah charity foundation whose aim is to help the needy and the poor in Sierra leone. He is currently residing at Calaba town, Freetown, he is happily married and currently has one beautiful son!.